If your computer suddenly stopped working one day, how much data would you lose? How important are the files sitting on your hard drive? Priceless family albums? Critical business documents? Do you have a copy of that data backed up? March 31 is World Backup Day, which has the single mission of encouraging everyone, from businesses to individuals, to do just one thing. Backup, backup, backup. “It’s not only a day for backing up your personal data, but it’s also a day to talk about the enormous task of preserving our increasingly digital heritage and cultural works for future generations,” according to the official website. Like all devices, computers are prone to failure. Machines with moving parts eventually breakdown. They’re also vulnerable to malicious attacks with the aim to separate you from your data. Sixty million computers will fail this year, according to the website. Also, 200,000 smartphones are lost or stolen a year. Despite this, only one in every four people makes regular backups of their data. Backing up your data is definitely worth your time. Having a reliable backup can protect you from heartbreak or financial ruin. A great time to get started is this weekend for World Backup Day. Having a separate, physical location for your data close by is great for fast and convenient backups and recoveries. External hard drives and USB flash drives are smaller, cheaper and faster than ever. They’re easily stored and can store vast amounts of data for you. Most also come with pre-installed software that allows you to schedule regular backups of specified drives and folders on your computer. If it doesn’t, both Windows and Mac computers have their own backup and restore utilities. Windows 10’s backup features are located in the control panel under Updates and Security. File History allows you to select a connect drive and schedule regular backups of your files. When you want to restore, you can select the date of the backup you wish to restore your computer to. Mac has Time Machine, which works similarly. 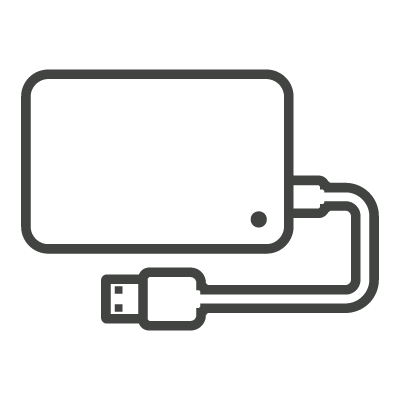 You can set the system to begin backing up whenever you plug in your selected drive. Backing up to the cloud allows you to upload and have access to your data from anywhere there’s an internet connection. The main advantage that the cloud has over physical storage solutions is that you can lose your storage device or it can be damaged. There is a wealth of free options for general online storage you can use to upload your important files for backup. However, the amount of storage you can use for free usually isn’t enough for all of your computer’s data. Also, not all of these free options allow you to upload all types of data. There are online backup services that specialize specifically in backup and recovery that are typically paid. 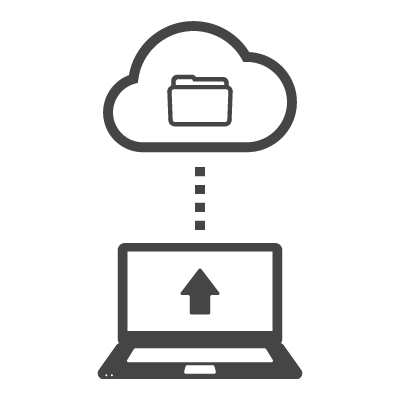 You can schedule regular backups to your cloud storage as long as your computer has a strong, secure connection to the internet. It’s not advisable to perform backups over unsecure, public internet connections. Few cloud services guarantee consistent back-ups with reliable access to documents. eFileCabinet’s online service keeps documents safe, as they are backed up multiple time within the cloud. Keeping essential business documents accessible, but in a safe environment protects businesses from the worst. eFileCabinet is a great solution for backing up documents but can do so much for businesses. Workflow and automation tools allow for the intelligent organization of all a business’s documents and a revamp of business processes. eFileCabinet takes care of the backing up for you, so you can be assured as well as assure your customers and clients that your files are protected. To learn more about how eFileCabinet protects your data and can transform how you do business, fill out the form below for a free demo.